Energy and excitement is a big part of your child’s growth and learning process. At XTreme Kids , we understand that curiosity and the motivation to learn and understand how things work come naturally to children. 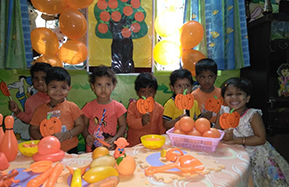 This knowledge enables us to present activities and games that are designed to encourage these traits in toddlers, encouraging them to figure things out for themselves, with a little help from our skilled trainers. The development of the child goes through a series of foundation processes which are implemented step-by-step starting with the basics and aim at achieving the ultimate goal of happiness, the starting blocks being love, care and security. Intermediate Motor Skills : Tossing and catching, crawling and walking. Language Skills : Speech development, word/image association, story time and communication. Basic Music and Sound : Singing, audio musical stimulation, sound recognition. Movement and Balance : Dancing, outdoor play time, basic movement and balance oriented games. Basic Concepts Development : Recognizing shapes and colors, basic image association. Creative Skills : Finger painting, basic construction and drawing. 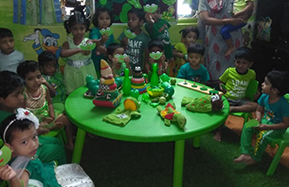 Our XTreme Kids day care center features a friendly area with different stations for art, play and nap time. 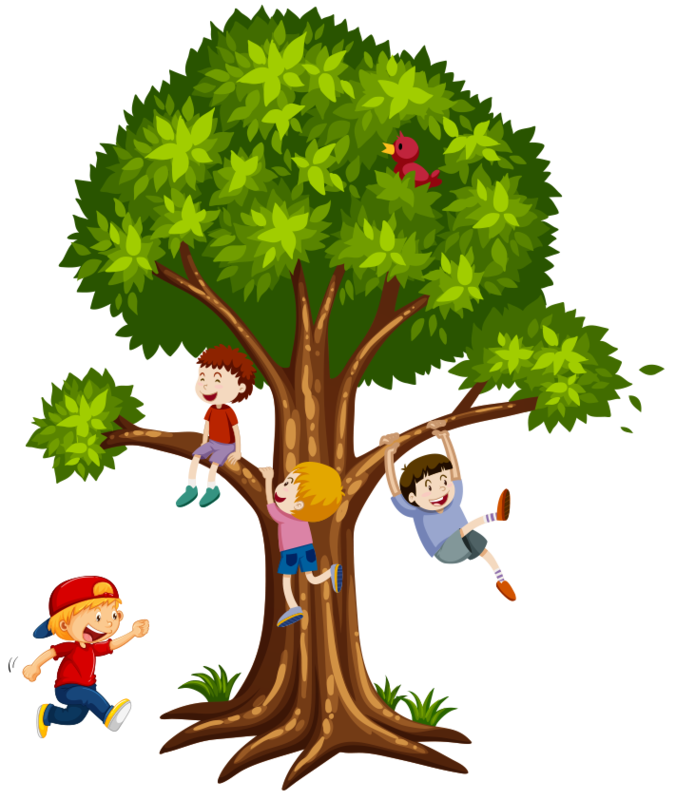 XTreme Kids is also extremely proud of its safe and fun outdoor play area, in which children of all ages are sure to have a blast, while developing motor skills and using up their bubbling energy.